Goodreads: Amanda Baron died in a boating accident on the Ohio River in 1953. Or, did she? While it was generally accepted that she had died when a coal barge rammed the pleasure boat she was sharing with her lover, her body was never found. Kritters Thoughts: Travis and Mitchell are best friends. Although this book is completely about Travis and his life, Mitchell his best friend narrates the story and can tell the whole story because he was by his side the entire time. 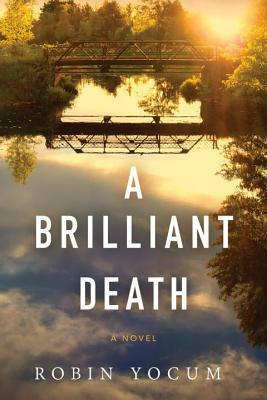 The story is their investigation into Travis' mother's death that happened when Travis was just 5 months old and his father has never wanted to talk about it, so he must do some major investigative work to find out the ultimate truth. This was such a different story for me because of how it was told. The first two or three chapters I may have read through 2 times and took notes, just because I wanted to make sure I knew who belonged to whom and how. Once I got through the first three ish chapters, the rest flew by and there was no way to put it down! I liked how Mitchell told the story and he tells you why he decides now is the time to tell the story - it made the book feel even more real. I read a lot of mystery thrillers and sometimes I feel like they all mesh together and follow the same path - this one was different. The set up, the plot, the characters - it all just worked right. I am intrigued to read another Robin Yocum - has anyone read any of his other books? Where should I go next?